Colt International is one of the most experienced companies engaged in the technical equipment of buildings. To engineers, architects, developers and end users, our company offers a complete technical concept for air conditioning and air-conditioning – from planning and consulting to immediate installation and commissioning, as well as constant equipment maintenance. 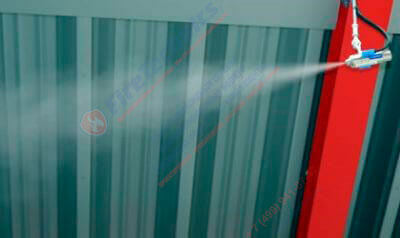 It can be used for everyday ventilation and smoke removal. The concept of air treatment we use inside the building is based on many years of working experience, combining both time-tested and advanced development of structural building elements, and, in addition, our own technological developments. Looking for optimal solutions, we take into account the fact that literally each of the buildings is unique in its own way, and the microclimate in the room is always a combination of temperature, humidity and air mobility. It is also necessary not to lose sight of such factors as sunlight penetrating into the premises, working processes occurring during working hours, the presence of artificial lighting, permanent evaporation, and many others. Etc. When taking into account the specified values, a notorious concept is created that relies on the wishes and needs of customers. Man always ranks first. In the presence of strict requirements to the internal climate, as, for example, in large offices, Colt specialists will concentrate, first of all, on system design, which can be operated not only for cooling, but also as a heating system. At a standard manufacturing plant, it will be sufficient to install natural or mechanical ventilation equipment, supplemented by good heat and air heating. In case if it is necessary to heat literally all the corners of the building, as, for example, on some production lines, or in small halls, Colt is advised to correctly place the heat radiators, possibly combining them with exhaust fans. A reasonable solution for plants that consume heat is to equip the system with the possibility of thermal recovery, which contributes to significant energy savings. An important condition for establishing an enabling working environment that determines the highest possible productivity is the creation of ideal climatic conditions. Adiabatic and energy-saving cooling systems allow to provide a favorable temperature of the environment, to regulate air conditioning, and at the same time creating optimal conditions for efficient work. An individual climate-comfort is created for the entire technological process and the people employed in it. Complete energy recycling takes place in the system. Cooling systems Colt are around the world, successfully working in commercial and industrial buildings, such as atriums, sports centers, schools, shopping malls, car showrooms, food, paper, chemical and glass industries, as well as those engaged in processing metals and plastics. Colt systems, characterized by affordability, have been environmentally friendly for many decades, are environmentally friendly and, with low installation and operation costs, require the creation of individual solutions that take into account the design of buildings, their design, types of work and geographical conditions. There is a complete energy recycling. Humidity can affect not only the flow of production processes, but also the final products, as well as their price. In some industrial sectors, the standards related to humidity are defined quite clearly. They are achieved by optimum air-moisturizing through industrial humidifiers. On the basis of low-pressure evaporative air humidification by means of cold water or high-pressure air humidification systems, Colt undertakes to provide buildings with quality and proven equipment for humidifying air with increased capacity. Economical and reliable operation is impossible without establishing the necessary humidity and in such buildings as printing houses, polygraphs, organizations engaged in plastic processing, glass factories, as well as food and textile industries. Colt air humidification systems are capable of ensuring the safety of production processes, a high level of property protection and preventing problems caused by a violation of humidity, for example, the occurrence of static electricity, dusting, compression and subsequent deformation of the material, the appearance of mold, fungi, etc. Reduced operating and installation costs. 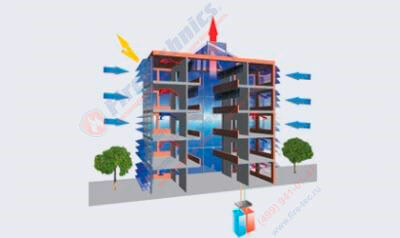 In the arrangement of the air conditioning system, ventilation units are used to create a natural ventilation process, which includes both supply and exhaust systems operating on the basis of the difference in the temperature difference between the roof and the floor surface. They behave exactly as well as smoke, as well as heat sink systems. Since it is necessary to work with the air invisible to the eyes, it is necessary to take into account a wide range of non-obvious factors with which Colt has been working since 1931, and has a rich experience in this. 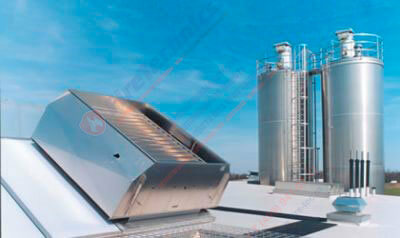 To reduce installation costs, as well as equipment operation. 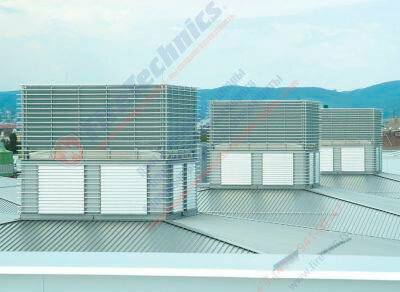 The many years of successful experience of our company allows us to offer our clients a controlled air ventilation and air conditioning system, manufactured in accordance with the latest European norms and standards, performing the function of natural ventilation, as well as serving for smoke and heat removal. What is the system for natural ventilation? 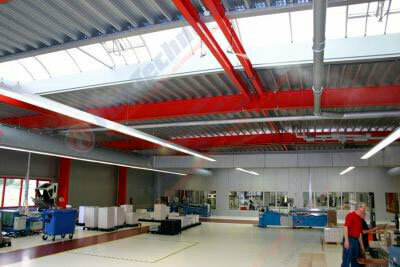 Under this concept, a natural system for controlling the outgoing and incoming air is concealed. In some cases, sound insulation is additionally installed. Such a conditioning system is relevant in all weather conditions and due to a transparent material – glass or polycarbonate – does not prevent the sun from penetrating the building. Colt also has systems operating with thermal recovery. 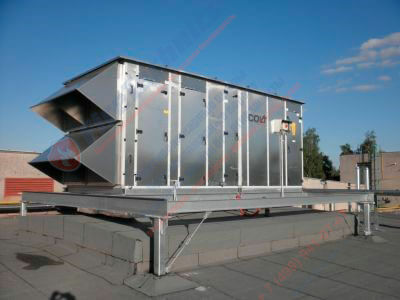 The structure of such a system includes also ventilation flaps having a flat shape, due to which they can be used for commercial projects. If you want more information about the operation of the natural ventilation system, the information you need can be found in the products. By arranging air and radiant heating from Сolt, you thereby regulate the microclimate in the room. Our company has a wide range of powerful radiant and air heating systems, which are used, first of all, in warehouses and industrial workshops. IR-emitters, which are suitable for local heating of warehouses, workplaces, exhibition halls, etc., can save more than 40 percent of energy when compared with the performance of traditional systems. 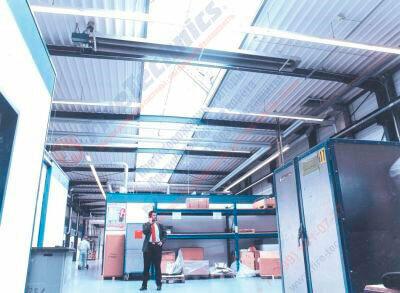 Literally every variant of air and radiant heating Сolt can be installed locally. 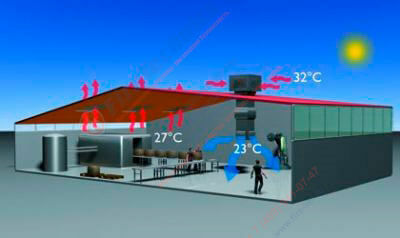 Therefore, it is often possible to disconnect the central heating system of the building from work.